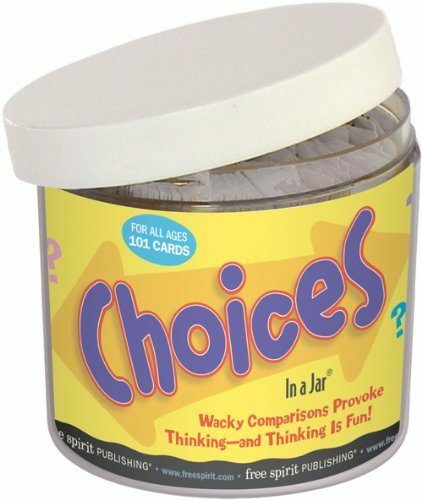 Choices In A Jar Only $6.58! You are here: Home / Great Deals / Amazon Deals / Choices In A Jar Only $6.58! Have kids who can’t seem to engage in a conversation with you? Get Choices in A Jar for Only $6.58 to stimulate some communication! Each card presents a delightful dilemma—sometimes unusual, always challenging—to spark conversation or controversy.